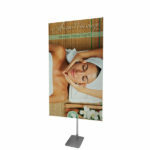 Complete your look by adding any of these impressive shapes to your existing display. 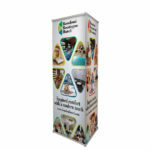 The two-way stretch fabric graphics wrap around both sides of the display for double the advertising space. We cannot guarantee Graphic alignment across any seamSeam locations:Outer sides and top.